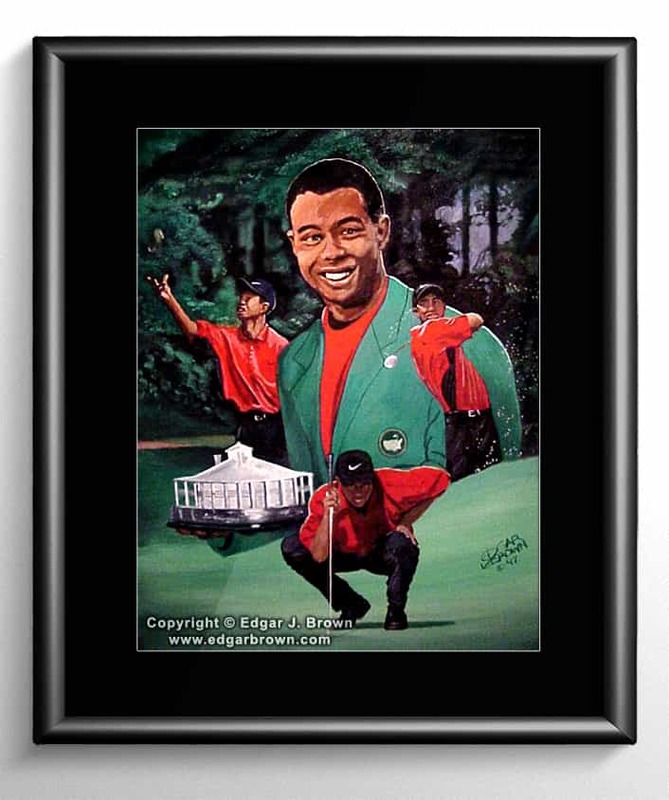 This golf painting captures The Master of Augusta wearing his green jacket. 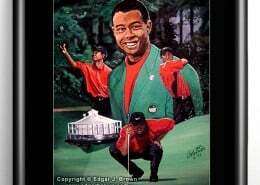 This is the second painting completed by artist Edgar Brown of Tiger Woods. 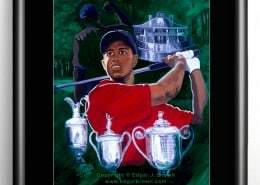 Tiger Woods "The Master of Augusta"